iMessage delivery and the Message app typically works great, but some users have experienced a few frustrating issues since iOS 8 with either failing deliveries of messages, new messages not appearing in the Messages app despite getting a chime or alert that a new message has arrived, messages not marking as read, multimedia messages not downloading, or, in some cases, photo messages not showing up at all. If you happen to encounter any of these issues with Messages, we’ve got two solutions that should resolve any of the problems rather quickly. These are both quite easy and can be done in a minute or less, but you’ll want to try the quit & relaunch process before going ahead with the network reset. This forcibly refreshes the app and the new message(s) will appear as intended in their appropriate thread. If you have the problem happen again, simply quit and relaunch Messages again, or you can try to reply the moment you see the alert with Quick Reply. I’ve run into this issue fairly regularly on an iPhone 6 Plus, and presumably it’s a bug that will be resolved in the next iOS software update. When the iPhone, iPad, or iPod touch reboots, Messages should now function as intended. It’s worth pointing out that if your issue with multimedia messages is that they’re mysteriously deleting themselves, that’s actually a feature of iOS and not a bug, but you can turn it off if you don’t want those video messages removing themselves automatically. What about iMessage Activation Errors? Activation Errors are not unique to any particular version of iOS, but are easily resolved by confirming the Apple ID. You can find directions to address activation errors with iMessage here. Though the iOS 8 update has gone flawlessly for most individuals, a sizable amount of iPhone, iPad, and iPod touch users have experienced a variety of problems with the latest version. Ranging from simple settings tweaks, sluggish performance, bad battery life, to poor wi-fi connections, to the aforementioned message issue, fortunately each of those nuisances are all relatively easy to resolve. I thought I was going crazy. I get the ‘ding!’ sound, then I go to Message app… nothing. What? 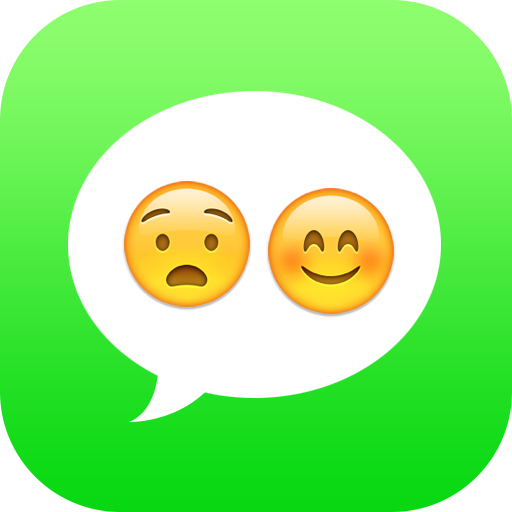 Then hours later, iPhone crashes (iOS 8.2 is so stable and all) and suddenly Messages app has new messages waiting. Will try the quit and relaunch thing next time, good to know. My messages is doing other weird things…if I begin typing a reply text/message and turn the phone to use both hands one of three things consistently happen: the new audio message record feature activates, the messages app quits itself and goes to Home screen, or the keyboard freezes and won’t allow me to type. Hope apple will solve this bug with the next update ! Try to take a picture from the Messages app with the new Camera button, it gets stuck with the keyboard overlaying the Camera. iOS 8.2 is amateur hour, I can’t believe Apple released this buggy turd onto the public. I have the same problem! Resetting the network settings works for a while only. If you want to preserve your Wi-Fi network passwords, turn off the iCloud Keychain. Reset the Network Settings. Then turn it back on so it can download all the preserved SSIDs and passwords. I have a different problem with iMessage. My problem is that the messages do not seem to be indexing. Before the update to 8.0 when I searched through messages I could see search results dating back ages. Now when I search, if the person hasn’t messaged me in a few days or recently it doesn’t show up. It is weird. Do you know of any other experiences? If someone sends a text to my wife, I receive the same text. If I send a text, my wife and the recipient both get the text I sent. NOT an option. We share an account and have no interest in separating it out. We share everything except text messages and want to keep it that way. Help!? You need to turn change your i message settings turning off your wife’s phone # and email on your phone. I had the same problem. Apple is requiring everyone to have their own apple ID these days. No way to solve all of the issues it creates not doing it with getting your own IDs. However, you can set up a family account so you can share everything. Anyone having the issue of not being able to search contacts in messages? Same problem here!!! When I search iMessages for a name of a person I’ve been sending messages with, it doesn’t show up. Is this a common problem?? Picture messages aren’t always successfully delivered I don’t think. In the thread of message it displays a small blue cloud bubble should be in case 1. In case 2, picture shows delivered, but recipient never received. We’ll my problem isn’t with ios8 I’m still using ios 7.4, but im not sure if imessage is the problem or is it my phone. One day I went to my messages app and they where all gone. Not complete erased because the message cache was still showing under usage. Then if I where to text someone the messages kept going blank. It delivered thru iMessage but still says sending. So if I rebooted my phone there would be nothing there in my texts when it restarts. Is it my jailbreak? I Did DL a message tweak and the source was lost (BigBoss). Im not sure if that’s it but I tried all of the steps. Still nothing. Help!! What’s the problem? Please help I keep getting the same text message from yesterday over and over now. So far I have had 28 same messages. I sent a friend a picture message, and he’s now received it about 20 times. It keeps spamming him and using his data. I’ve deleted the message from my imessages but it keeps sending. I get the same issue. Started on 20th May. Group are receiving 2 photos every 2 hours. Did you get resolution on this? I would like to turn off audio messaging entirely. If I wanted to talk I would use the phone. The most valuable feature of texting is silence. Every message I send includes an empty audio message I did not want to send. This feature is a complete annoyance. I have the same problem with checking for contacts in messages, anyone have an answer for this yet? I’m considering deleting iOS 8 and going back a step – Please help! I was also having problems searching contacts from messaging. Solved by rebooting phone. (If you don’t know what that means: turn it all the way off using the button on the thumb side of the phone; you will be prompted to slide to turn off; then turn it on again.) Mine is now working fine. I have iphone6. My problem is on my new IPhone 6. I restored it from a backup of the iphone 4s. As soon as I started to use the 6 I started seeing messaging problems. At least once a day my messages freeze. They won’t send (they get like 95% of the way on the progress bar and then just freeze). Also if I exit the messages app it keeps telling me I have messages that I need to read even though I’ve rear them. Sometimes when I quit messages and relaunch the application it shows me my message screen is blank with no messages. The only solution I have found with this problem is to force reboot my phone. This helps but is a reoccurring problem. Any tips? 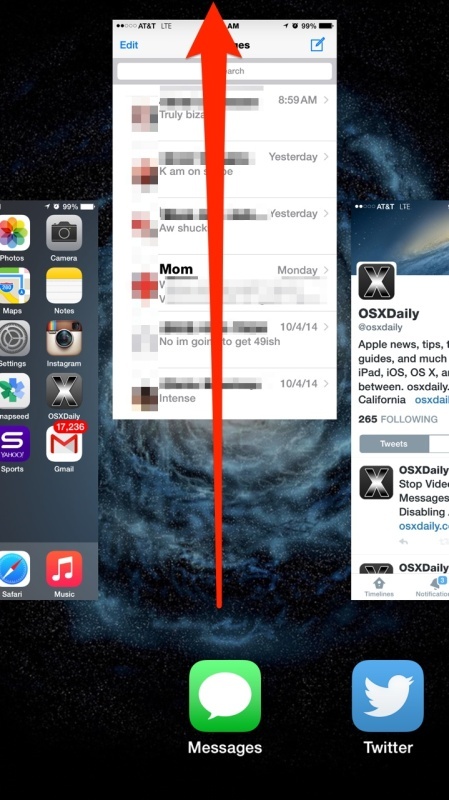 Could it be an IOS 8 bug or a damaged file in my phone? bar goes to about 60% then freezes). It only seems to happen with certain numbers i.e. I have a problem with one phone number and I can immediately send to a different number. If I then go back to first number it still will not send. So frustrating!! Should we go to Apple or carrier for resolution? I have the same issue. Has anyone found resolution? – Iphone messages won’t load and is completely white. Then randomly hours later it will start working again. Change the Apple ID on your iPhone, they need to be unique. The same Apple ID will receive the same iMessages. You don’t have to do this. Just go into your messaging settings and unlink the other phones and accounts for iMessage. Every time you update though it will ask if you want to sync all your devices together, you need to only select devices you want to share text messages with. My iPhone 5s just stopped alerting me when new texts and phone calls come in. Tied exiting from all apps, rebooting the phone, upgrading to iOS 8.1.1. Nothing helps. I had to do a computer reset and I lost your callback info. Please send me an email and I’ll call you back. I apologize. This is now happening to me, did anyone find a fix? I have the new iPhone 6 and I restored it from my iPhone 4s. I’m having the same problem were the message starts to send then freezes. When I go to look at it a few minutes after trying to send, my message is gone completely. I updated to iOS 8.2 yesterday and my read receipts keep coming on even though they are turned off in my settings. Also, my texts keep disappearing and if I open any apps about 70% of the time the app either crashes and closes or my entire phone shuts off. Any solutions? im having same problem everything is really turning out badly lagging and crashing not showing messages and letting me recieve calls pretty much making the phone useless! Can you help us! I have turned off iMessage but when I try to send a standard text to my son, in Message it still appears as an iMessage in blue. I want green! I have a new iPhone 6 and when I text other iPhone users it used to show up “Delivered” when they got the message. But it’s not showing up anymore but I am positive they are getting the messages since they showed me. Anyone know how to fix that? This is driving me nuts. The best solution apart from constantly rebooting the app (shouldn’t be required everyday), seems to be to download Telegram (or other message app). I can’t believe this is still an issue after SIX updates. hi my iMessage problem is different, my girlfriend has an iphone 6 and i have an iphone 5, but about a month ago every time she texted me it showed in her screen “delivered” but i never got the texts, its still happening, and now it also happens when emails…. if somebody is having this issue and knows how to fix it let me know please! I’ve tried EVERYTHING!!! I have iPhone 5c. For the past week, whenever I try to send a photo, it very QUICKLY says, NOT DELIVERED. I tried resetting all settings, MMS is on, (I don’t use iMessage) what’s wrong??? I’ve tried everything!!! I am having the same prob…I followed the directions to reset network settings and that till did NOT clear up the prob….wow help is needed here! Well I had quite a shock a couple of days ago when someone i had texted earlier with a very personal, private message replied. apples sms sent the reply not only to me, but also to a group distribution list of professionals on another completely separate unrelated text conversation. i was with one of the people on the group distribution list when the text arrived on both our phones. very very embarassing. this is extremely unacceptable. this glitch makes texting on the iphone very risky in terms of privacy. apple tech support is currently researching the issue, but in the meantime im very uneasy about using it. beware! I have an iPod 5 and just updated to iOS 8 and when I try to send a message it says message not delivered. When texting jams, I tried forcing a text message to a person via SMS instead of iMessage and cleared the jam. Simply hold down on the text and select the SMS option. This worked after the following didn’t: Reset iPhone, reset message app, toggling Setting options. The number on my messaging app doesn’t appear whenever I have a new text, but whenever I click the app it shows the number at the top when it opens.. How do I get the number to appear on both the home screen and in the actual app? The other person has an iPhone 5 just like me, but when he reads it, it doesn’t say “read” it just says “delivered” and he starts typing it still doesn’t say read. It used to work a few days ago I don’t know what happened, and no he didn’t get a new iPhone.bI’m really confused and I need help. The other person has an iPhone 5 just like me, but when he reads it, it doesn’t say “read” it just says “delivered” and he starts typing it still doesn’t say read. It used to work a few days ago I don’t know what happened, and no he didn’t get a new iPI’m really confused and I need help. Same issues. Really ticking me off. Resolved (for now) by deleting the message thread that contained a photo. Are we not supposed to send photos via text? Also issues sending message using SIRI, can’t figure out why. Works some of the time, some of the time not. yay it worked! thanks heapssss!!! Everytime I go into messages my screen goes white and then there is no messages there. I have notifications saying I have texts but when i go into it it does that. After the white screen comes up, a scaffold to send a text automatically comes up. I try to type a contact or a number in but it only comes up as no name. I try to send texts and they just won’t send. HELP! My mama has that exact same problem… I’ve been trying to help her figure it out. Any luck on fixing yours? New 6 and new 6+ and the same thing on both! anyone find a solution yet? I am having the exact same problem, I even got a new phone and that didn’t seem to fix it either. Have you had any luck fixing it?? Using iOS8 and have the problem that when I text photos I receive read receipts. Only ever happens for photos. How do I turn this off? I am recovering iMessages from two different people but the same message. at the same time. But they aren’t playing a prank. I have iPhone 6 plus. After taking 1 photo from the text messaging app the camera gets stuck in a black screen and won’t allow you to take another photo while in that app (camera app works fine). I’m on my second phone because I thought the first was broken. Is this a bug, and will it be fixed? I kept getting the iMessage activation error on my mom’s iPad and what worked for me was signing in under my iCloud account and then immediately signing out and signing in under her account. A few times now I have been receiving imessages and then shortly after, they disappear! Where do they go? Why are they disappearing? Has this happened to anyone else? My messages say i have a new notification, but when i open it i have no new message. How do i fix this?? I have the same problem as Jj….My message says I have 1 message, but there is no 1 message…how do I fix it? Has anyone figured out why Samsung and droid phones don’t receive messages from iPhone 6 plus? I have changed my iCloud password, deactivated all other devices from my cloud, turned off iMessage. Any solution would be awesome! 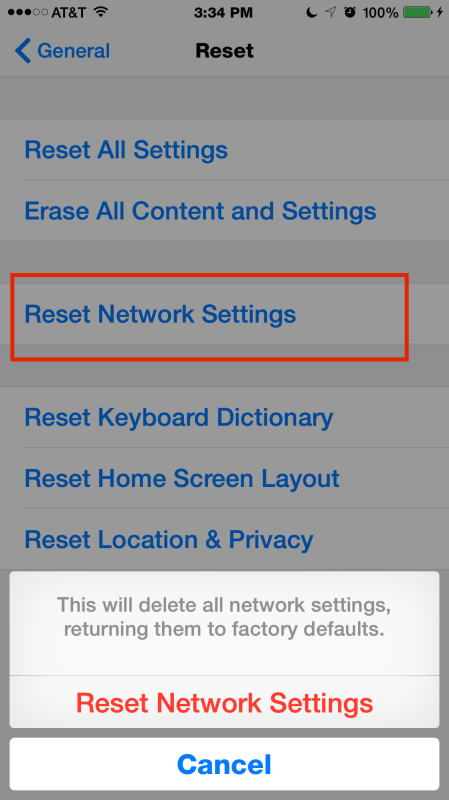 I have also reset my network settings, done a hard reset on my phone and closed messages app. Please help. My message app has a number 1 and it won’t go away! My iMessages are sending just fine, but when I receive them, no notification comes up. They are appearing as if I have already read them, even though I havent. All of my notifications are on, and I have the “show in lock screen” on. Can you tell me how to fix this? I have an iPhone 6 plus. Does anybody know why my texts to people are showing they are coming from my gmail? I’ve run into a strange issue. My iMessage will send and then give me a red ! And say that message was not delivered and no matter how many times I resend it will not go through unless I send a blank text message to the person I’m trying to text and then resend the iMessage. Every message I send I have to send a blank text right before. So annoying for me and the other person I’m sure… can someone please tell me how I can fix this?? On my iPhone 5, the only audible txt notifications I get are for iMessages . Msg from a Samsung, eg, appears as txt but no audible signal. I have an iPod five and when I text people on iMessage it comes up as a number even when I have them as a contact how do I fix this? Select your email address as a contact for iMessage within iMessage settings. Since the last iOS update, my messaging has been a complete mess. I get constant send failure notifications. Or I won’t get any notification at all but later learn that the message didn’t actually go through. Sometimes messages go out as iMessages but don’t get through to people who don’t have iMessage. Other times, messages go out as SMS and get through, but people’s responses don’t get to me. With a lot of people, I now have two message strings, one for messages that went out as iMessages and another for messages that went out as SMS. Also, a lot of times, I send messages on my iPhone but the answers only come back on my iPad but not my iPhone. For years, I never had a problem with messaging and now it has become completely, maddeningly unreliable. I have fiddled with the settings without any success whatsoever. Does anybody know what to do about this? I’ve reset my network settings many times and got the same results, but shortly after my messages send and the bar showing the progress stops right before it crosses the screen. This has stayed like that for over a few hours sometimes and no one received the message. Then when it finally sends I will get the reply they sent and it would show it was from over an hour prior. I’ve even factory reset my phone and restored it and have gotten the same result. First time this ever happened was around Christmas when I tried sending a text to a contact that recently changed their number. It added their name into text recipient spot fine, but when I hit “send” it immediately changed their name to their old number. After that, my phone would lock up immediately after trying to reopen text message link. Reset didn’t help. Trying to delete message sent to wrong number also froze phone. When iMessage fails to send to a contact, it retries and send it as a message. Ok, so I managed to fix my problem. Very odd fix, but hopefully it helps some of you out there with the same problem. By the way, I have an iPhone 4s running on iOS 8.1.3 and I DO NOT plan on upgrading to the next iOS, EVER. Each iOS update just seems to make everything worse, at least for the 4s. Problem: I randomly discovered that I kept getting the ! red exclamation point whenever I texted my friend. Every single message was immediately met with the red ! and said “Not delivered”. And this was ONLY an issue when I texted my friend Mindy, who uses an iPhone 6 on AT&T. iMessage worked for all my other iphone-using friends except when i texted Mindy. VERY frustrating because she’s the main person that I text. The FIRST time this happened, I tried resetting Network Settings but that didn’t work. But THEN I was able to fix it by doing this in the EXACT order: Settings > Messages > (Turn Off) Send as SMS > (Turn Off) iMessage, and then General > Reset > Reset Network Settings, and then I sent a regular (green) text message to Mindy, went back to Settings > Messages > (Turn On) iMessage > (Turn On) Send as SMS, and then I was magically able to send Mindy a regular iMessage. Yay. iMessage worked for a few weeks, and then one day at school, I experienced the infernal red exclamation point of death yet again. I tried everything, but it did not work. However, when I got home, it worked again out of no where. VERY weird, but I wasn’t complaining. iMessage worked fine for a few weeks, and then one day it stopped working for the THIRD TIME, and it happened to be at school again. I have a feeling that it is partly due to the wifi network system that my school has, but who knows. I tried turning off wifi and sending iMessage on regular data but iMessage still didn’t work anyway. I closed all apps and turned the phone off and on. Went into contacts and sent Mindy’s contact info to my own number (Share Contact > Message > ) and then I deleted her off my contacts. Then I opened Messages and deleted our conversation. Then I closed the Messages app and reopened it. IT FROZE and all my other conversations went blank. So I closed Messages again and reopened it. Then I tapped the icon to write a new text message, and put in Mindy’s number WITHOUT the area code. And voila. iMessage worked yet again. My assumption is that maybe it’s just the Messages app. Maybe it just needed to get refreshed a couple times. Or maybe it’s because I never delete any of my texts. Who knows. I hope Apple comes up with a fix for this but i HIGHLY doubt it. Seems like they’re slowly abandoning any older generation iphones and leaving them to rot so as to force us to upgrade to the newest models. But as a broke college student, that ain’t an option for me. When I try to send a picture message it say failed delivery and a red exclamation mark pops up by the picture any help with this? My I messages work fine, it’s my sms messages to other phones. Like 80% of my contacts I can text other 20 I can’t it says none delivery every time. How do I fix this?!? Cause my daughters phone is one I can’t text can call everyone it’s just sms messages. Pls help!!! I have the 5s and with my iMessage it only messes up with one person! I send a text and it says delivered but never does! How do I fix this? I just downloaded the new update(I have an iPhone 5s) & my messaging will not work correctly. My notifications will not pop up, even though I have them on. I can’t get any texts & my texts that I want to send won’t , it just goes 80% of the way & just stops. Please help!!! I’m experiencing a problem with my 5s. Since last Thursday, I’ve been sending my friend messages and she says she’s not receiving them. But, my messages always say delivered. It’s been going on for a week and I’ve reset my phone, my network settings, I’ve signed out/back into my Apple ID, and then I downloaded the iOS 8.3, thinking it would help. I don’t know what to do. It’s only one of my friends contact. All of my other friends that have iPhones are receiving my messages just fine. Hey . So i have the iphone 5s with ios 8.1.3 and my bf has iphone 6+ with ios 8.1.3 and recently, i would send a message ans it would say delivered but he wouldnt recieve it. Help please? I am not receiving notifications on my iPhone 6 from one the person I text with the most. For everyone else, notifications appear as alerts and a there is a sound notification as well. There WILL be a badge with the number of texts he has sent, but why doesn’t an alert show up? I’ve set his alert sound to the default sound, and still nothing. Only for him, all other texts from other people work fine. So no one has found a solution to this?? I’m having the same issue as Sadie, Samantha and Karen. I need a solution now! HELP!! Usually my incoming texts work as intended. However, I am experiencing some weird issues when I try to send iMessages. Sometimes they randomly fail to send, and I am forced to send texts until later iMessage starts to work again. Also, incoming pictures never load, but indtead always have the “downloading” icon. Same problem as Tamika. I can’t get into my messages at all. Everytime I try to, it would take a while to load, then say “new message”. I put in one of my contacts name but it would say “no name” I can’t call anybody either. I tried updating my phone but it never updated. It will work sometimes here and there but then it’ll freeze up and do the same thing all over again. My phone would turn off by itself and freeze. I can read my texts from my notifications (which would be sent to me hours later) but It would never let me reply. Really getting tired of this. I tried the 2 steps above many times but nothing seems to work. Any other solutions? So I sended a long message through imessage to one of my friends, and the app broke itself in becoming white and is not functioning at all. I restarted it, rebooted, and resetted connection settings but none work. What can i do to fix this problem? I finally fixed the problem and was able to fix it without updating my phone. You need to let whoever you were with texting to send you small spamming texts so that the long text can be buried so it’ll wont glitch your app upon opening it. Once the app recovers, delete the thread from further glitch on your app. Then everything will be okay, :). i am encountering that everytime someone send me a message her name does not appear to my inbox eventhough she had my contact. I am having the same problem and need a solution. I have an iphone 6, ios 7. For the past few weeks, everytime my phone restarts my imessage app goes blank, but then all the messages reappear after a few minutes. Well hours ago it did that and I restarted my phone and now it’s all gone. I’ve tried everything suggested and NOTHING is working. I’m so mad. I always keep my messages and they’re all gone. My sister died last month and I like to go look at our last messages and now I can’t an I’m devastated. I haven’t back up my phone for a few months now either. HELP APPLE, GET IT TOGETHER. I have the iPhone 6 plus and every time I press on my message bubble, it closes right out. I can’t even get in to see my messages. HELP! A software update will arrive from Apple soon to prevent the issue. I have an iPhone 5 and ever since I had it, it was running fine but yesterday I tried to open the iMessage app and it opened with a blank screen then closed. After I tried sending a message to my phone from my sisters iPad and the ding came up but I couldn’t see the message. I have tried a long restart, turning iMessage off and on repeatedly and literally everything. I have updated to iOS 8.3. I have a similar problem as Britney, with the difference that no one sent me the special string. Instead, it keeps crashing with no apparent reason. I’m a bit confused, can someone help me, my phone works normally which is ok. But it’s when I click on the message icon on my iPhone it just seems to shut itself down again, it is a repeated thing so I can’t even read the messages or reply. As you can tell I’m not very happy but is there anyone out there who can help me? I’ve tried every, restarting my iPhone, resetting my network settings and everything, it doesn’t seem to want to work, is the apple shop a good place? My problem is when I click on the message icon on my iPhone it just seem to shut itself down again, it is repeated thing so I can’t even read the messages or reply . I keep getting ” not delivered” message when I text. It started about 3 hours ago and I can’t receive texts? Hello. My iMessage says I have 4 messages and I don’t have any messages on there? I did all it said up there. None of it worked! Help!! pictures i sent on iMessage to people from a long time ago aren’t showing up. they’re still there but it’s not the picture. instead of the picture being there is a blank screen with the words like IMG_6256.jpg, etc. and i want to see the pictures but i don’t know how to get them back. My iphone 5c is jailbroken, and I haven’t been receiving both imessages and text messages. why is that? ive tried everything and nothing has really worked. ive rebooted my phone, and its very rare that ill get the messages that i missed from earlier that day, but most of the time they never show up. I have people thinking im ignoring them when im really just not getting their messages. Also, ill see a message pop up, and when i go to click on the thread it just disappears. it is very frustrating. someone please help!!!!! If anyone knows this please help!! My iPhone 6’s iMessage won’t let me receive photos from people who’s conversations I have are green. The conversations that are blue, which means I have them over wifi, I get the photos and am able to send but I can’t send photos over green text. I tap my camera button but it just doesn’t work. And I’m not able to get photos over green text too. It’s driving me crazy!! I hate my iPhone 6plus!!! thanks for the help options to fix iMessage, but none of that worked for me. The most important people I need to have contact with on my phone and I cant text……..no other phone have I had this issue…..iPhone 6+ a very big thumbs down down down….. I cant wait to get my Nokia Lumia phone back :)…know of anyone who wants to buy an iphone 6+ lol…..
Can someone help. My husband has iMessage disabled on his iPhone 6 as he gets little reception at work, however everytime someone or I try to message him it says send message as iMessage however then doesn’t work and have to ‘send as sms’. Sometimes you can just have a convo and reply normally as sms’s to him then if you reply to someone else’s txt and go back into his message convo it comes back as iMessage all over again. Does someone know why his phone is doing this? My friend put me in a group chat (she has an android phone) and I heard the notification for the message she sent to everyone and saw it come up at the top of my phone then went away like normal. it shows I have a message on the app icon but when I open the message app there are no new messages. I got a few more notifications of other people who have sent messages in the group chat and it still won’t show it. I restarted my phone, and even updated it to whatever the latest one is. It STILL says I have a new message, but there’s nothing in my messages. How do I fix this? Thank you.. The reset worked!! My IPhone is not scrolling text messages to just one person, also when tap on the screen it will close/blackout the text message app. What to do? Any help? Great comment Luke, glad you got your iMessage problem fixed by rebooting your iPhone! Good job Luke! iMessage is the best! I have an iPhone 6s Plus. I’ve updated, turned iMessage on and off. Reset my network settings. I cannot send a 5 second video. I’ve tried sending from camera roll and from the message itself. I’ve also rebooted the phone. What next? A trip to the Apple Store? My phone says I texted someone yesterday even though the last time I texted this person was over month ago? All of a sudden it popped up in my recent texts and said it was yesterday? Any ideas what this might be? I am sorry I didn’t read all the way through all the comments to see if anyone has this issue…But have you heard of this? A few times now I boot my iPhone on in the morning, see on the lock screen that I received a text message (from an android phone). Then when I unlock the phone, there is not message in the message app. I’ve checked message history, under setting, and I have it set to keep messages forever. I am using 11.2.5. Thank you for any thoughts!